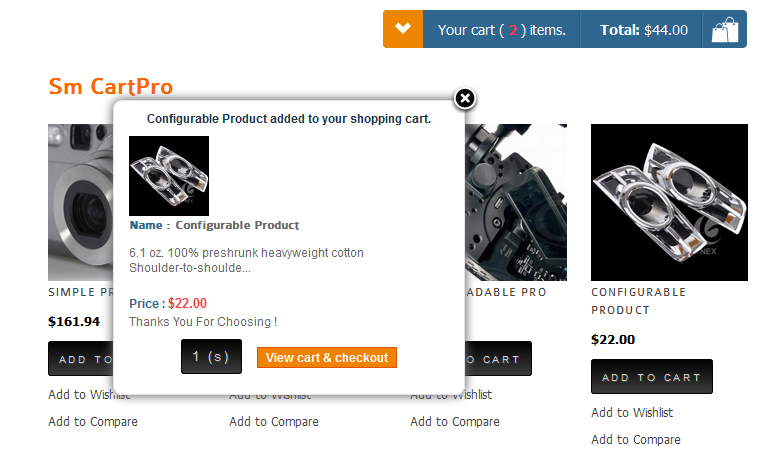 Moreover, your customers can choose to continue shopping or checkout right away after adding product to cart in the product page. 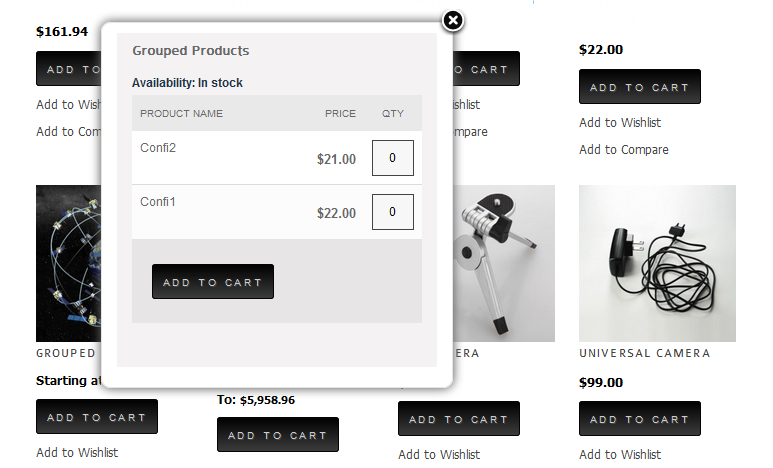 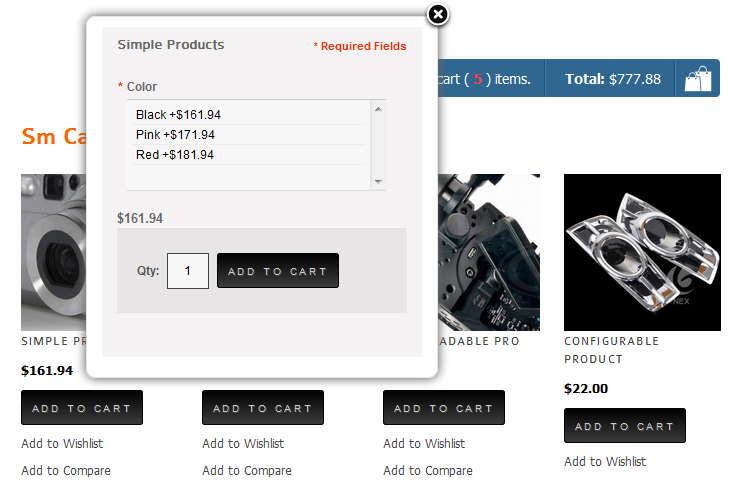 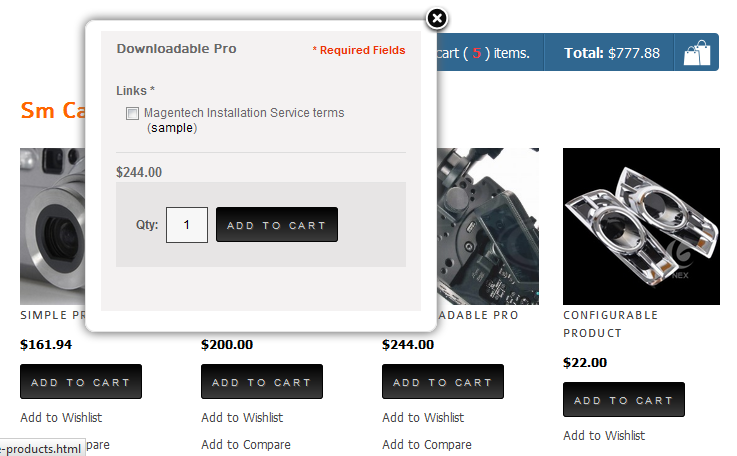 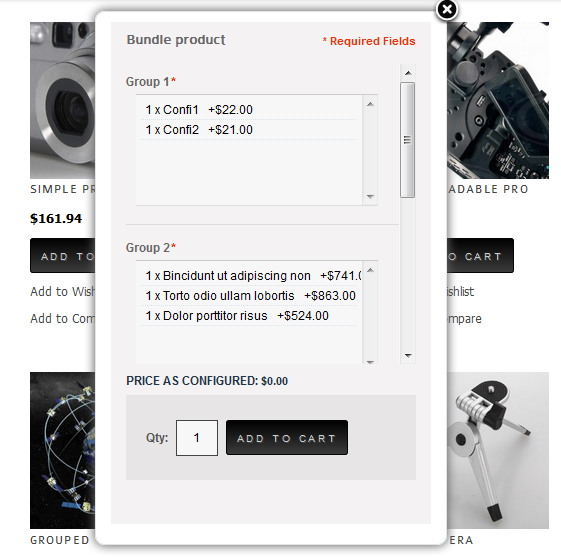 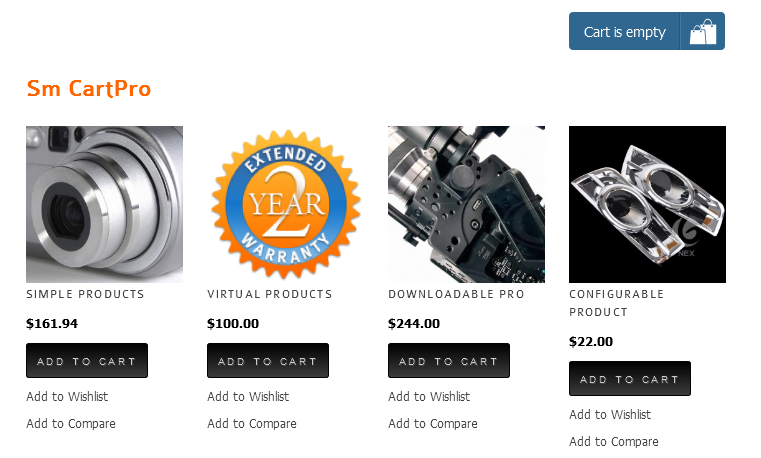 Along with adding product to cart, this module also supports add to wishlist page, add to compare. 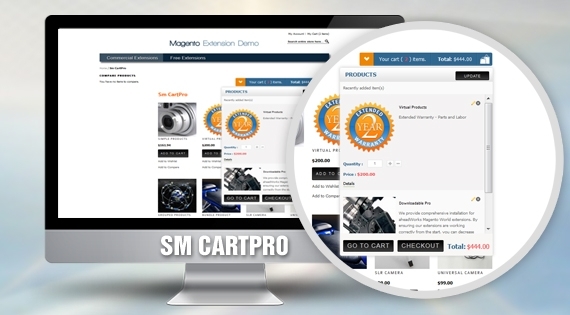 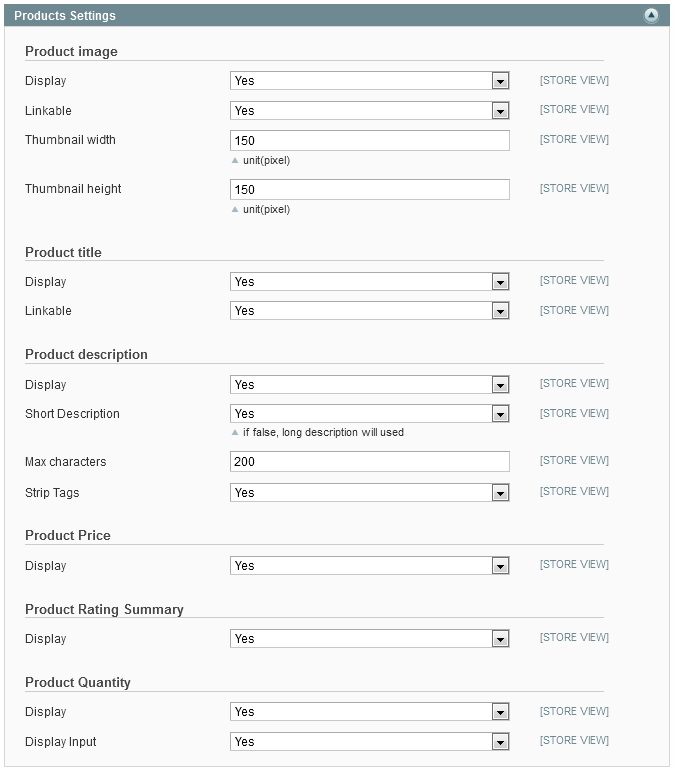 And the last but not least, SM CartPro supports all Magento product types, including simple, configuration, bundle, grouped, virtual and bundle products. 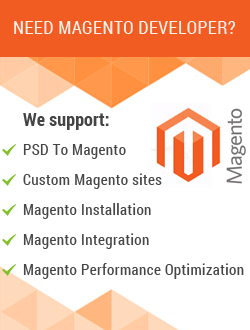 This module would be a must have extension in your Magento e-commerce store to increase more sales. 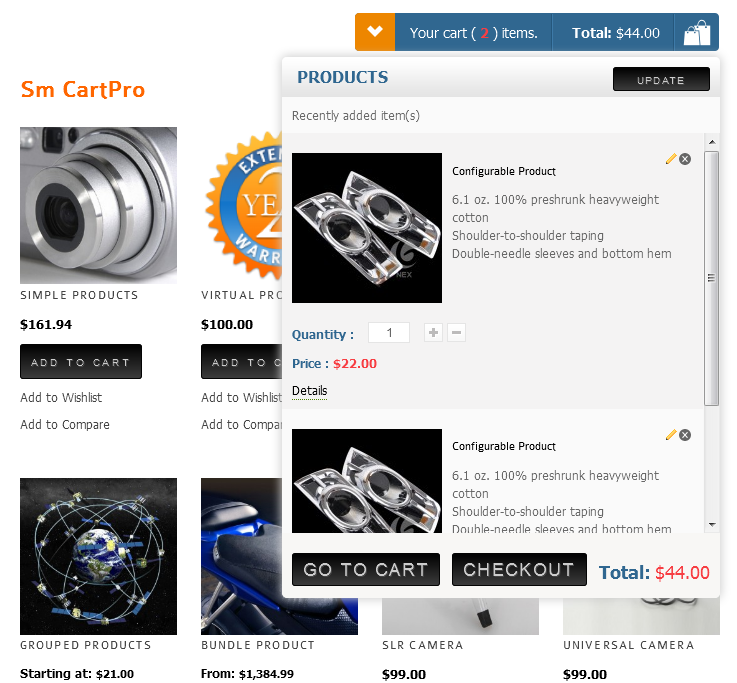 Let's take a SM CartPro tour and you'll love it!